They may have missed out on a podium place but Bahrain’s top skydivers collected vital tournament experience when they rubbed shoulders with the best in the world at the 2015 Clash of Champions, which concluded in Dubai on Saturday (November 28). Representing the Kingdom at the $200,000 event staged at Inflight Dubai under the patronage of HH Sheikh Hamdan bin Rashid Al Maktoum, Crown Prince of Dubai, Bahrainis Husain Ebrahim, Naser Khalifa, Khalid Mashrah, Ahmed Althawadi and reserve Yunes Aldoseri flew the flag in what is hoped will become an annual occasion. 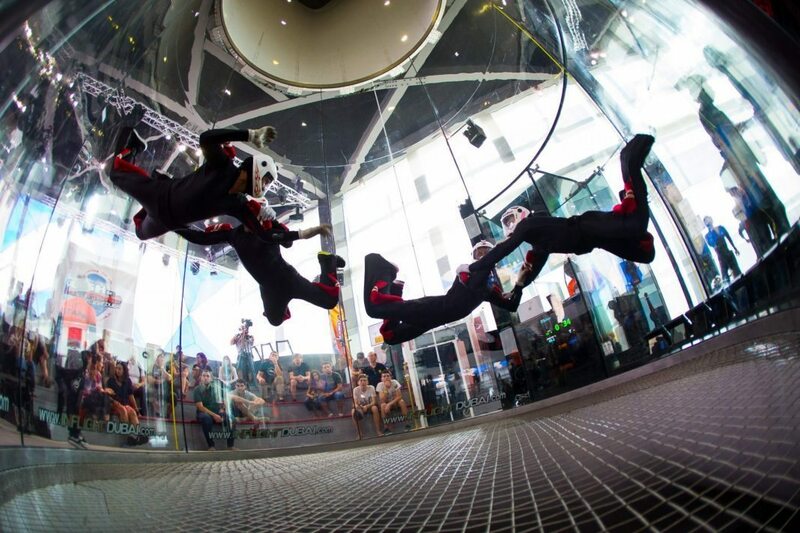 “We are very proud to have represented Bahrain at this amazing event,” said Mashrah, after the team finished seventh in the AA 4-Way Formation Skydiving category staged in the world’s biggest indoor wind tunnel for skydiving. Featuring over 300 international competitors from 20 different countries, Clash of Champions was the first major event staged at the world’s biggest tunnel with Formation Skydiving classes dominated by HayaBusa, the Belgian high-flyers who will head to the 2016 World Championships in Chicago as one of the red-hot favourites in AAA 4-Way category, and AAA 8-Way champions the Golden Knights from the USA.